Speakers included Rory Rowan, Stephanie Wakefield, Tamara Álvarez, Kathryn Yusoff, Nigel Clark, & Ed Keller. 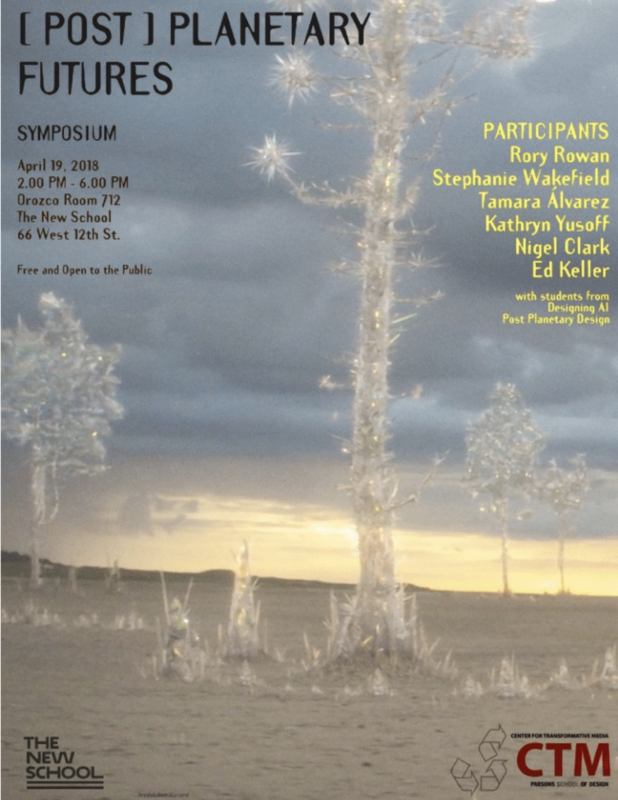 This symposium was held as a free ranging survey and meditation on the cosmopolitical implications of existing planetary material relations, as reframed in the context of emerging energetic and computational systems [‘the stack’]. By contrasting [post] planetary material systems with the emerging technoscape we hoped to expose feedback loops and communicative systems which modulate agency and awareness. Such feedback mechanisms – ecologies of feeling- may offer a belated hope for a coordination of life and mind across multiple timescales, resulting in a possible post/trans/inhuman ethics. Ed Keller moderated/introduced event. CTM hosted. Convened to follow-up the 2014 Post Planetary Capital symposium. This entry was posted in collab, Design, Events, theory and tagged conference, futures, mediascape, off world, postplanetary, the stack on 2018/04/19 by ed keller.